The NAACP has launched an online petition and written a letter to Attorney General Eric Holder urging the Dept. 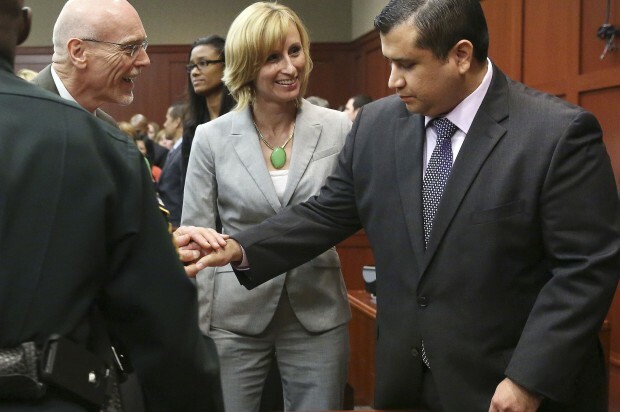 of Justice to press civil rights charges against George Zimmerman, who on Saturday night was acquitted over the death of unarmed 17-year-old Trayvon Martin. From the letter to Holder:The Department of Justice has closely monitored the State of Florida’s prosecution of the case against George Zimmerman in the Trayvon Martin murder since it began. Today, with the acquittal of George Zimmerman, it is time for the Department of Justice to act . . .The most fundamental of civil rights — the right to life — was violated the night George Zimmerman stalked and then took the life of Trayvon Martin. We ask that the Department of Justice file civil rights charges against Mr. Zimmerman for this egregious violation. Politicians like Rep. Steve Cohen (D-Tenn.) and Rep. Jerrold Nadler (D-N.Y.), along with civil rights icon Rev. Jesse Jackson, have expressed support for the NAACP’s sentiments and called for further review of the Zimmerman case. The DOJ launched a review of the shooting earlier this year and Holder said that they would take proper action if they had evidence of a civil rights crime.“If we find evidence of a potential federal criminal civil rights crime, we will take appropriate action, and at every step, the facts and law will guide us forward,” said Holder in a speech in April to Al Sharpton’s National Action Network. But Holder had cautioned in subsequent remarks that the DOJ faces a “very high barrier” when seeking to bring federal criminal charges in such cases.